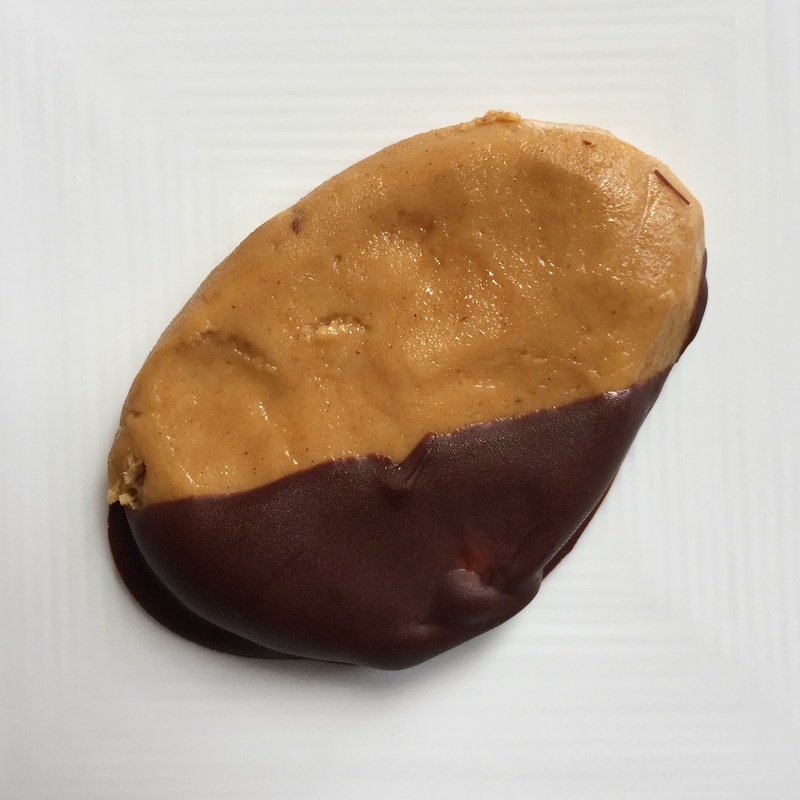 Awhile back I found a recipe on Pinterest for homemade Reese's Peanut Butter Eggs, and quickly pinned it here. I finally got around to making a batch this week! You can find the original recipe here. I decided to just make a half batch, which was a wise decision since I think I'm going to polish them off all by myself by the end of the day. They were super easy to make, and we already had all the ingredients in the pantry. 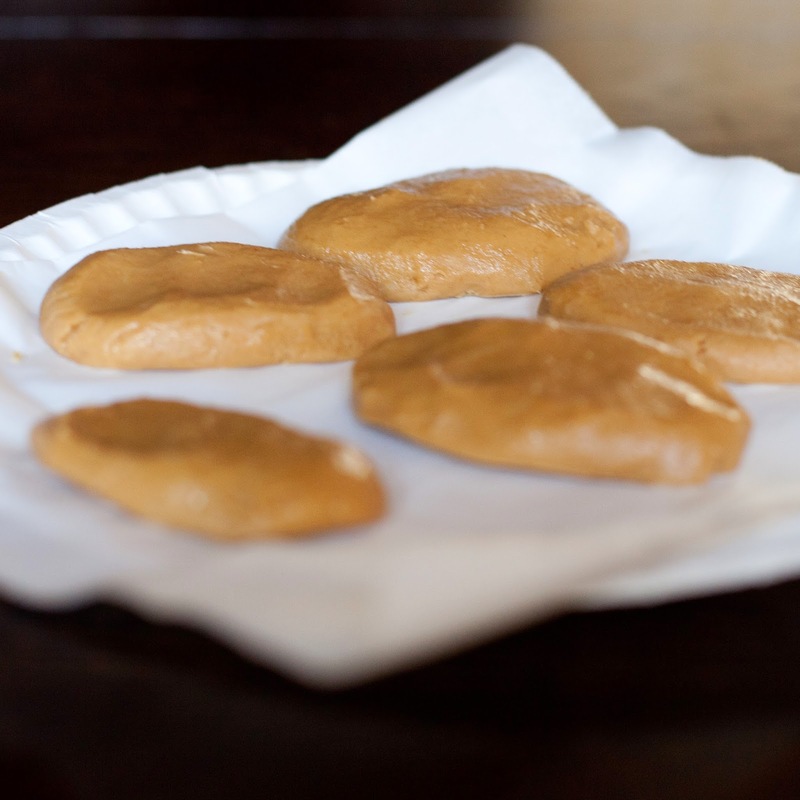 I just mixed peanut butter with powdered sugar, vanilla and melted butter, then formed egg shaped patties on parchment paper. 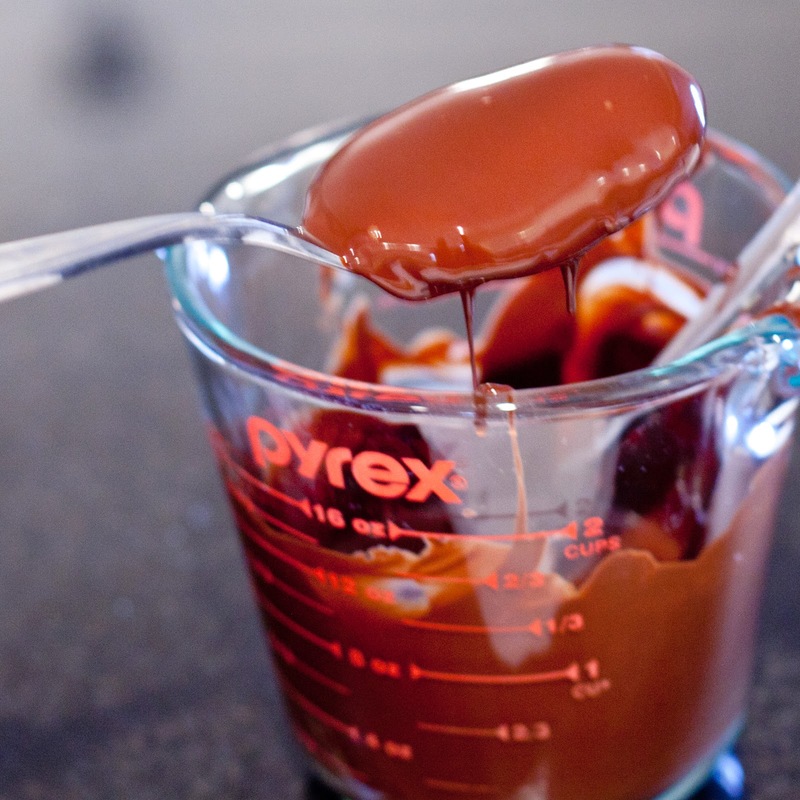 After the eggs froze, I dipped them in meted chocolate with a fork as per the directions. 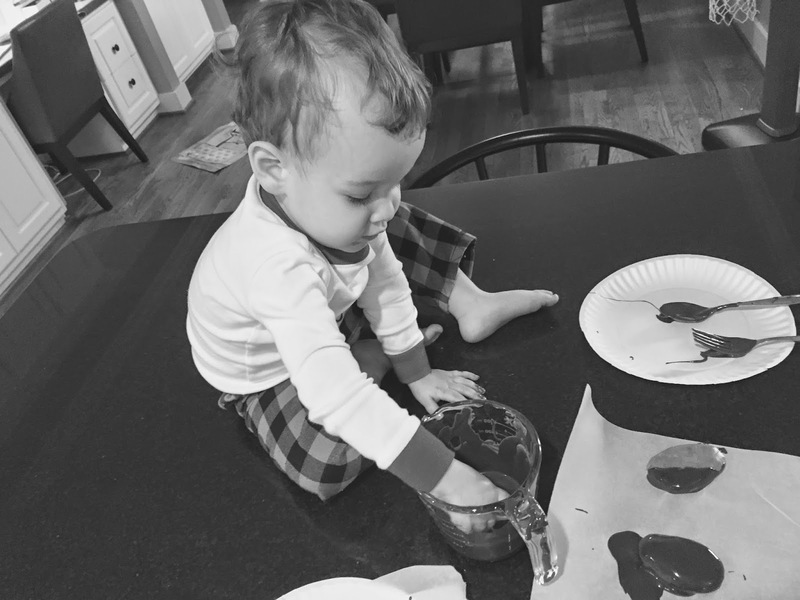 Parker was a rebel and dipped with his hands. He opted for a half-dipped version. I like it! 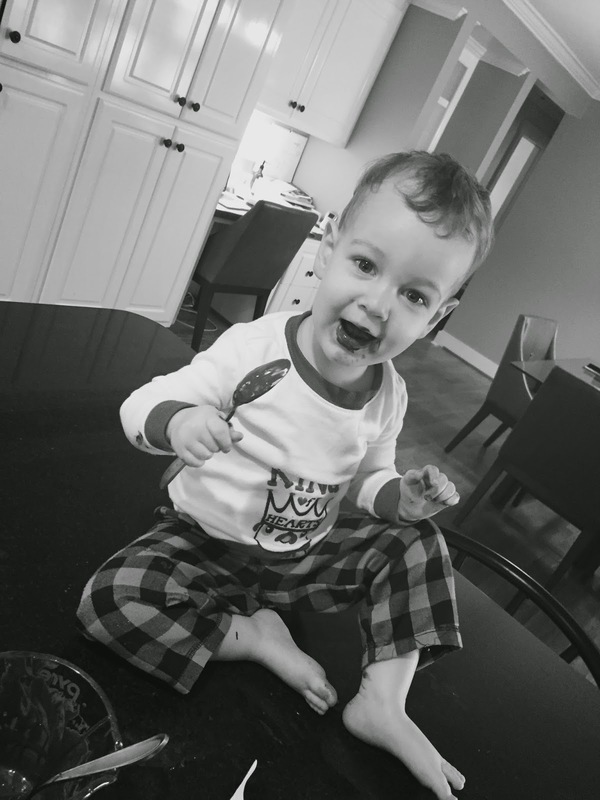 He then promptly grabbed the spoon to lick (I've taught him well). Hope your day is just as egg-cellent! Yum! Those are one of my favorite Easter candies!! What a great idea!! 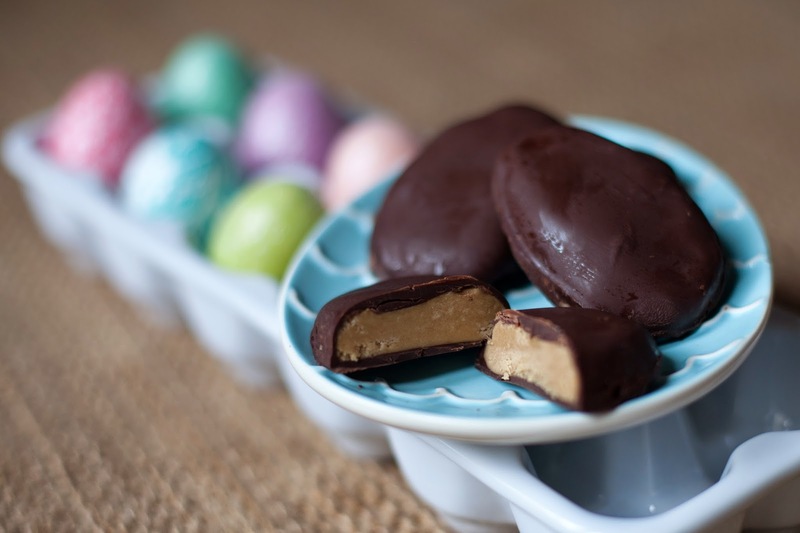 These look so easy and yummy and I'm sure are way better than the ones you get at the store!